More than 10,000 subscribers across the country enjoy COASTE digital magazine — online or on their mobile devices! Now you can subscribe to the award-winning COASTE magazine in our print edition. Imagine, six times each year, you’ll be so close to Sanibel, Captiva and Southwest Florida you’ll feel the sunshine and warm breezes with every page you turn. Even better, it’s only $15 annually for six issues, and includes a FREE $50 photo credit from Milissa Sprecher Photography for your next visit! SUBSCRIBE NOW TO HAVE COASTE MAGAZINE DELIVERED RIGHT TO YOUR DOOR! 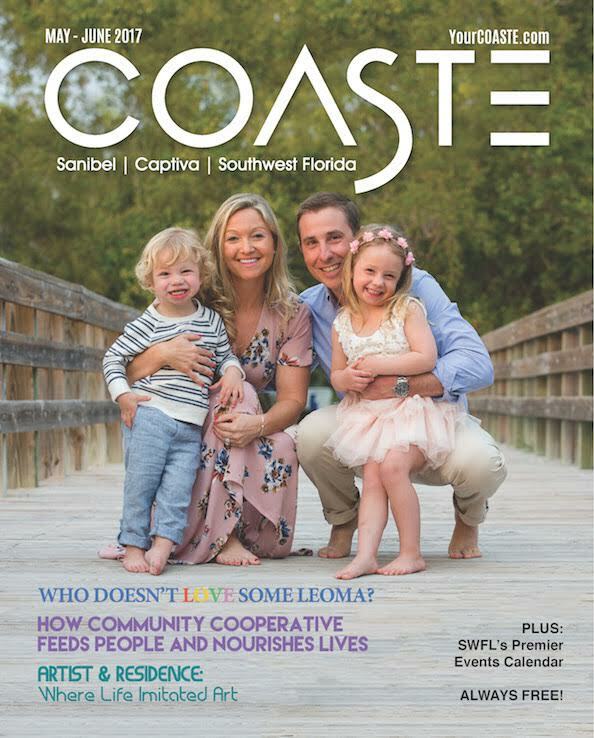 COASTE print magazine, bringing you the best of Sanibel, Captiva and Southwest Florida six times each year!